The best thing about Sundays - the brunches. How lazy can it be? Combining breakfast and lunch for a leisurely brunch that could go on for hours on end. I was in Navi Mumbai the other day and on one such lazy Sunday afternoon, my brother and I decided to head to Rockville Deli at Vashi, Navi Mumbai. Rockville Deli has a very spacious outdoor seating, with limited indoor seating. 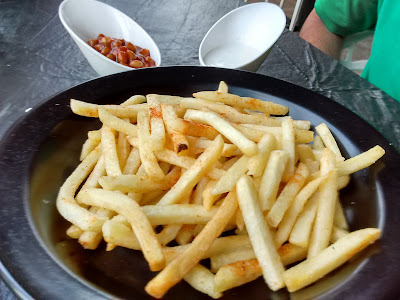 We ordered Rockstyle Dirty Fries - minus the dirtiness. With tangy beans and cream cheese on the side. 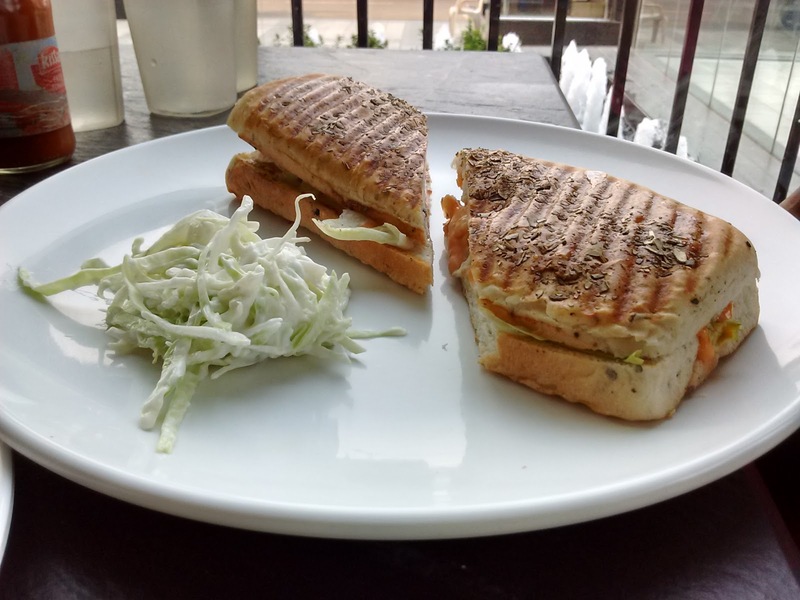 We also ordered this crunchy and light Grilled Chicken Panini Sandwich. 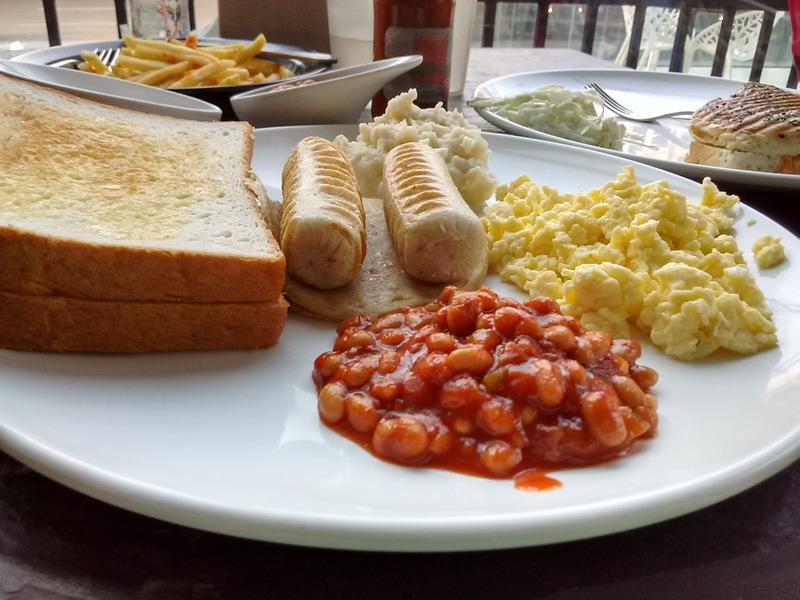 Post which we dug into this - as the occasion called for it - The Lazy Weekend Breakfast. As you can see, it comprised of 2 eggs to order (scrambled for me), 2 sausages, 2 salamis served with yummy mashed potatoes, baked beans and toast bread. Contrary to my opinion, I thought this spread won't be enough for the two of us. Boy was I wrong! 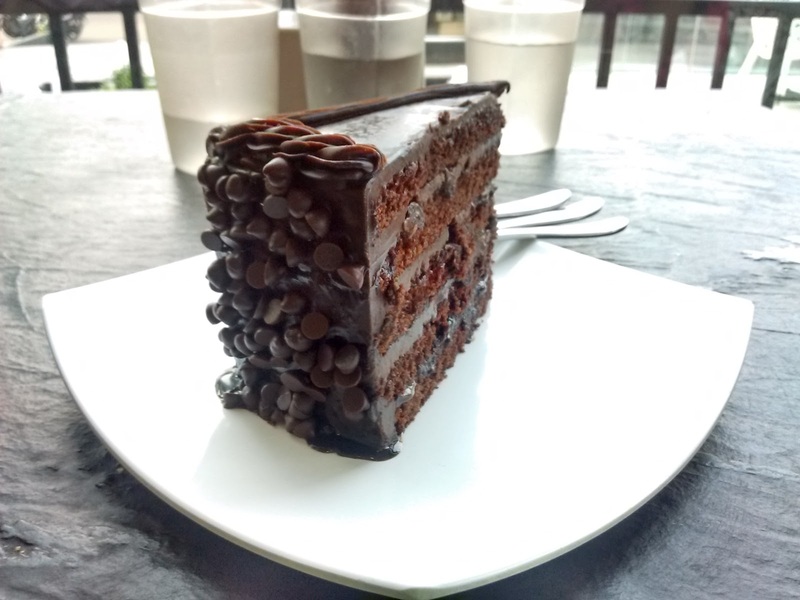 And to finish with a flourish, my brother chose a delectable looking slice from heaven - The 7 Layer Death By Chocolate cake slice! We truly reached 7th heaven post that. The rich taste still lingers on one's taste bud memories. So if you are in Vashi, have around 600 bucks to spend, you can order what I ordered and chill over the weekend. Disclosure: This is NOT a sponsored review of the restaurant. The author has visited the restaurant, had the food and paid for the meal herself.